This section references actual case histories of claims and some unusual aspects of how they were successfully settled in a number of states. Note: These are but a glimpse of the hundreds of thousands of claims successfully concluded by our firm. The outstanding feature is our unique ability to understand the full ramifications of a loss and understand all the complex facts that require special investigation and documentation in order to prove the claim must be paid. Insurers or other experts they hire may simply overlook important aspects of loss or fail to understand that the coverage under a certain policy may if properly interpreted extend far beyond some initial opinion. We know how to find those extensions. Our firm handled 3 major fires. First for Barnes Family (Joe and Pete), then the Morey Organization (Will & Bill Morey). The losses resulted in multi-millions in insurance claims and settlements for buildings, amusement rides, and equipment. We handled losses for 2 generations for the Barnes and Morey families. Our firm was hired following a fire that completely destroyed the entire pier structure, over 12 major buildings, offices, arcade, and all equipment including a dozen rented tenant occupied stores. The office area contained all the building blueprints. Our team, including an engineering expert, dug through frozen rubble in a 15 foot "crater" in February and found the structural foundation and support members and thus were able to map out and reconstruct the entire complex on computer. We also researched historic municipal archives and found aerial photographs of the complex and used them as well to accurately reconstruct the building on computer within inches of the totally consumed entire square block of this major amusement center. We negotiated a settlement based on our value research for the entire insurance policy limits. The losses were to Building, Contents, Rental Loss, Income Loss, and Special Equipment. The team leader, our president - Anthony T. DiSimone, SPPA, PA, CMI, Senior General Adjuster, was awarded the Nickles Organization Plaque of Merit for the efforts. The facilities were totally rebuilt including a huge attraction that became the famous national amusement 4 story, Dracula's Castle. A few years later, an accidental fire, started by children playing in the building, caused the Castle to burn to the ground. There was also a series of tenant stores and an apartment lost. Again, our firm, headed by Anthony DiSimone brought in specialists including some of America's leading "Horror Amusement Construction" experts to his team, to value the custom-built animated "horror rooms" and rides, as well as the attached rental stores complex. Again recovery was insurance policy limits. Our experts included Disney Animators, Broadway Production Costume Makers, and renowned horror amusement statue makers. A third fire, years later, involved the super-structure and a massive indoor amusement "arcade". Again the loss was settled for policy limits. These recoveries were in the millions. There were 3 other losses handled caused by windstorm and water damage. All were promptly settled by our firm. We also represented the Nickles Family losses to other properties. As with other family owned properties, our firm has handled losses for generation after generation. Our firm is proud of the trust these families have had in our service and the loyalty we enjoy. Our firm handled a major wind loss and water damage loss and secured an excellent settlement for building damages at this Amusement Pier, one of several owned by the Morey family The original brothers, Will and Bill, first hired our firm. Our firm handled 2 major losses on this pier for various owners including the Catanoso Family and the Morey Family which resulted in major settlements. Our firm handled 7 separate losses over 3 decades at the Boardwalk pier. We were responsible for hundreds of thousands in recovery and handled many other Snyder Family losses to amusement, building, and equipment & tenant buildings. We handled losses in hundreds of thousands for these locations. The DePeso family also hired Mr. DiSimone for several losses in other Cape May County locations. Our firm handled 2 major losses at this center operated under the direction of the Lion's Club. Our firm handled 2 major fire losses at this complex. One involved the replacement of the entire elevator system. The authority is part of the New Jersey Senior Citizen residence program. A major fire destroyed most of this 1,600 seat waterfront restaurant complex. Mr. DiSimone secured a multi-million dollar settlement. A few years later, a hurricane caused extreme flooding and wind damage. Mr. DiSimone negotiated policy limit settlements. When Hurricane Sandy struck, the complex again suffered flood and wind losses. Again Mr. DiSimone secured a policy limits flood settlement. Over the years this complex suffered several other losses that were all settled by Mr. DiSimone up to and including Hurricane Sandy. Mr. DiSimone has handled several claims for flood, hurricane, wind, and other losses - including income losses at these businesses located on the waterfront and main entry to the Wildwoods. Our firm was hired by the City Council Administration to handle a fire loss which disrupted the operation of the City offices and caused major damages. The loss was settled by South Jersey Adjustment Bureau, Inc. with grateful appreciation from the City Council members for efforts by our company to rescue sufficient funds to complete a rehabilitation of the damaged city complex. This historic restaurant and its owners, Ed & Ann Zaberer, were among South Jersey Adjustment Bureau, Inc's most notable clients. When insurer's refused to pay the school for a loss to numerous computers based on erroneous views of policy coverage, our firm presented an alternate view of the claim coverage and successfully got tens of thousands of dollars in recovery. Our firm was engaged for property damage losses when during the course of ownership financial failures, the bank acquired buildings with "forced place insurance" policies that had still not been settled. Our firm has settled several claims for this and other banks. Over a 25 year period, we handled 5 major flood losses at this location for the owner. This "wedge shaped" building suffered a number of flood and wind losses, successfully handled by our firm. Our firm handled the fire loss to this motel complex. Our firm handled 2 major losses at this location. Our firm was engaged by the City Council following a major flood which caused part of the floor system to collapse. We settled the loss for building and contents. Our firm has handled flood damages to hundreds of homes in West Wildwood and enjoy a tremendous reputation as the number one advocate of the homeowners in that location. This huge waterfront restaurant complex also has an extensive wholesale fish business with several buildings and refrigerated warehouses. Over decades our firm has handled dozens of flood and other losses at the Laudeman properties. This is one of the busiest seafood operations in the State of New Jersey. Mr. DiSimone has become noted as an expert in Victorian style historic style historic structures having barreled over 150 such structures in that city including some of the most famous structures there including: The Christian Admiral Hotel, The Angel of the Sea B & B, Hotel Alcott, Congress Hall, 410 Bank Street, Virginia Hotel, Merry Widow, and numerous others. Mr. DiSimone had also held a Cape May General Contractors License for several years (as well as Contractors Licenses in other locations). An extensive fire destroyed part of one of the fiberglass circular treatment section which contained 6 enormous treatment "tumbles". Each is attached to a motorized drive unit in an open concrete "pool". These "units" are the secondary treatment lines in a multi-line sewage treatment processing plant that services several Cape May County Communities including Avalon, Stone Harbor, and Sea Isle City - very important resort based communities on the Jersey Shore. The fire occurred in late spring and the plant shut down during "season" for summer visitors would have created unbelievable chaos and economic catastrophes. Initially internal inspections were done and it was thought the fire caused minimal damage. Our firm was engaged after interviews by the then Executive Director. Our investigation revealed that not only one turret was damaged, but two others also had extreme heat damage. More important was that the heat from the fire caused concrete "spalling". The investigators and engineers from the insurer questioned the cause and suggested it was natural deterioration. Our firm proved that the steel reinforcement encased in the concrete caused the steel to expand and thus destroyed the entire structure integrity of three sections of an interlocking "pool" system. Instead of some half million in damages, the insurer was forced to pay over $4.5 million. Part of the expense was to expedite temporary repairs and a looming issue of a possible "summer season" shut down. We have also represented numerous clients who owned properties on National Historic Preservation Certification List for various causes of loss. In order to maintain historic designation, the repairs must be made with replacement materials, design, and other factors that are as close to original as possible. In many cases, component sections are custom "milled" after architectural style drawings are done. There is a very substantial cost involved particularly in replicating with the exact wood materials used. Mr. DiSimone served on a historic preservation council and is fully aware of what issues exist. He also has held a Cape May City General Contractors License. He also has a professional designation as a Certified Mold Investigator. He has knowledge of structure, damage results, and what effects fire, flood, and contaminations have on buildings and equipment. A total loss fire destroyed one of the facilities buildings which housed a popular attraction. Our firm was able to expedite settlement and have a new structure built. Our firm received a grateful response from the County Government. The county and state granted a major fish processor millions to install a new processing plant in partnership with local business suppliers for a major economic facility in the area. The "Elberon Building" is a "multi-acre" size facility. An extensive fire caused extensive damages to a large section of the building. The tenant sought to have the landlord, County of Cape May, repair the building quickly. Our firm was engaged by the County Government and the damage scope was agreed quickly and settlement completed which allowed resumption of service. A major commercial fishing trailer was docked in the Cape May Area. A fire began in the engine room and destroyed this 80 foot vessel. The insurer had a marine surveyor suggest the vessel had some "salvage". Mr. DiSimone hired an expert, the Norshipco Company of Virginia-the company that actually built the vessel. He had their design engineer inspect and report that the entire vessel was condemned. The insurer was forced to pay total policy limits of $500,000. *Our firm has handled many vessel losses including power boats, yachts, and sailboats. This waterfront complex suffered a collapse of a huge section on the entire floor structure during mid-July season and was forced to shut down. In fact several major national news media and T.V. and radio crews arrived for the story as there were hundreds of people in the place. All escaped unharmed. After an exhaustive series of physical investigations by Mr. DiSimone and his engineering experts the cause was found to be a "covered loss" due to hidden decay. Although the insurance company (located in the foreign country of Great Britain) resisted payment, Mr. DiSimone finally got entire policy limits for the settlement for building loss, income loss, and other losses. This was one of 3 major claims at the "2 Mile Inn" that Mr. DiSimone handled. The property has since been rebuilt and reopened. Our firm handled the fire loss which had totally destroyed this landmark restaurant. The loss to building and contents as well as business income was enormous. This strip mall which housed the real estate offices of Apex Realty owned by Dan Senico also had several tenant stores damaged. The complex was rebuilt after we secured an excellent settlement. Known more as a Cape May location, the property is actually in Lower Township. Our firm handled 3 major structural losses at the property. The building owner, Gus Andy, engaged our firm when a severe windstorm damaged the building. The Naval Air Station Wildwood is a historic "Air Museum" housed in a World War II original air plane hangar that, through the tireless and selfless efforts of, Doctor Joseph Salvatore, has become a National Attraction and a proud addition to our South Jersey Heritage. During a particularly heavy snow and ice storm a section of this historic building had a partial roof collapse and sprinkler discharge. Since metal was at a premium during the war, the building was totally constructed of wood. The collapse involved massive wood roof trusses and damage to the hangar door system. The insurer did an advance payment after our firm submitted a claim but attributed much damage to "pre-existing conditions" after a contentious number of inspections, engineering studies, and collaborations with our own select team of experts. Mr. DiSimone uncovered numerous "flaws" in the conclusions the insurance companies experts had made in their reports. Extensive investigation and securing of photographic evidences and eye witness reports resulted in preparation of a very detailed law suit - one of the few claims that required legal intervention in our firms history. The insurer, one of the largest in the world, was given our evidences and thus decided not to go further with legal defense and rendered a satisfactory settlement. Our work included securing expert data including the composition and features of the materials used to construct the building - the rare red Douglas Fir. This wood was found by our experts, actually hardens and thus was prized because it resists rot and deterioration as well as moisture. That information and the extensive physical examinations which were extremely difficult to do along the roof structure at some seventy feet off the ground required mobile "cherry picker lifts" and been photographic experts. The dissection of the out-of-state engineering experts reports revealed multiple in accuracy as well as documented false statements and misleading data, which was documented and revealed the insurance companies. Opposing forces finally realized that a jury would see the overwhelming evidence of possible fraud on the part of their experts and thus offered a "handsome settlement" much to the relief of the NASW non-profit organization. This building suffered severe wind damage. Our firm secured settlement. Over the decades and including the devastation by hurricanes, windstorms, floods, fire, and nor'easters, our firm has, time and again, assisted our clients - some now second generation. We have a successful history of handling major catastrophes from Hurricane Gloria in the 1980's to Hurricane Sandy in 2012. The original Whitebrier Restaurant was a very large sprawling restaurant and catering hall. Flooding decades ago caused severe damage. The owner, Anthony Zurawski decided after our firm secured a policy limits settlement to raise the old building and built a new elevated building. It is now one of the finest dining spots at the shore. However, even the elevated structure was damaged by Hurricane Sandy due to flooding of the under structure and utility feeds. We settled that loss along with others in the same block. A very large 3 section complex of restaurant and bars. Hurricane Sandy, wind and flood, caused substantial damage and contaminated stock. 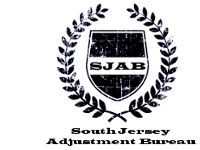 South Jersey Adjustment Bureau worked well with NFIP Flood representatives to secure a very advantageous settlement. This is another Zurawski family property. Sea Grill is an especially beautiful building with fine wood work and artistic tile work. Flooding damaged this fine eatery. Our firm secured a settlement which funded a total rehabilitation of the property to its original condition. There was nearly three and a half feet of flood water damage to this popular restaurant. Settlement monies were sufficient to do a complete renovation. The owner, also has Stone Harbor Pizza which was also flooded and totally rehabbed with insurance settlement funds. Café Loren happens to be located in a section of Avalon that is slightly lower than other areas. This is prone to extensive flooding on the rare occasion of flooding in Avalon. South Jersey Adjustment Bureau has handled multi-flood losses at this fine dining spot which has been operating for decades. It has been totally renovated since Hurricane Sandy. A fire loss in the utility room destroyed the main electric supply water heaters and phone system. The entire damage areas were replaced in time to reopen for the 2014 season. Flood and wind losses settled. Our firm has handled some of the most extensive losses to luxury resort homes and mansions in the prestigious Avalon/Stone Harbor Communitites. One major estate lost over one and a half million dollars in fine arts alone (including paintings, sculptures, and collectibles). Also over a half million in precious stone jewelry and watches (including diamond necklaces and rings). We have handled several losses of this magnitude as well as losses to homes in the tens of thousands that were caused by one single windstorm or burst pipe. We have the knowledge of all facts of "high end" construction systems and luxury furnishings from special bamboo flooring to ornate band carved wood trims and artisan plaster work. We pay attention to and value every detail. We have access to world renowned experts in every field and have work closely with them over the decades. Through the time from Hurricane Gloria in the 1980's, our repeat clients who from time to time suffer damages of all kinds turn to our firm to assist. Avalon Supermarket, Dairy Queen, Fudge Kitchen, Nautilus Jewelry, Marci's, Dr. Speer, Mini Golf, Green Cuisine, and many other stores, offices, including realtors and others rely on our company to provide fast action when catastrophe strikes and the need to secure proper settlements is critical to their businesses. Our firm has handled the most expensive home losses in these two communities. Multi-million dollar losses to buildings, personal property, fine arts, furs, jewelry, swimming pools, landscaping, and other elements require extensive experience, knowledge, and personnel to do the work needed to document all the losses in order to maximize recovery. No other firm in South Jersey can provide these services and none have the knowledge of local construction ordinance, flood plain elevation requirements, municipal regulations, and assist from nearly every local contractor to complete a successful settlement when multi-millions are at stake. Decade after decade, we have handled these losses with excellent success. We also have the knowledge of handling the complexities of condominium losses, where the ownership of units as well as separate ownership of "common areas" by the Condo Association creates a challenge to assign responsibility for repairs (and ownership). Consulting complicated Condo Documents and outer facing with multiple adjusters for insurers requires a very specific knowledge. In fact, we are consulted by professionals and even legal experts for our opinion in such cases. After over 40 years, we have seen every form of ownership from condominium, common ownerships, percentage ownership, and variations that have changed from the original popularity common ownership had back some 40 years ago to more defined sale agreements required by state regulations. Mr. Desiderio needed our assistance following wind and severe flood damages to his properties and even his Antique Vehicles. Kix McNutley Liquor Store, Bar, & Restaurant is part of a complex which included Freda's Sea Isle Inn on Landis Ave. There were multiple attached storage facilities also involved. His home and his fathers home was also effected. Our firm resolved each of the several losses. Some work on the Antique Cars took over a year to complete yet we were able to secure settlement to full extent of all costs. All these facilities have been totally renovated and upgraded. Claims handled include La Costa Motel, Sharkeys Restaurant, Dead Dog Saloon, Shenanigans, McCann Realty, Crab Trap Restaurant, and many others. The Boulevard Liquor Super Store sustained flood and wind damages. The exquisite refrigerated 1000 square foot premium "Wine Room" was ruined as well as over an "acre" of store facility. Our firm secured policy limit settlements for the Beyel family. This is the largest liquor store in South Jersey. Over the years, we handled several losses to this landmark complex and tenants in the "Boardwalk Stores" at the historic Flanders Hotel on the Boardwalk. We have handled many notable businesses that suffered losses including Cloud 9, Fudge Kitchen, and many others. We handled flood losses to numerous businesses and homeowner properties to successful conclusions. During the Christmas Holiday season a few years ago, a massive accidental water discharge occurred just above the 3 floors occupied by the law offices. Several of the offices and file rooms sustained severe damages as well as computers, equipment, law library, and fine arts. Our firm successfully settled all claims and the firm has totally renovated their facilities. Mr. DiSimone has acted as consultant to a number of the gaming industry experts and management people as well as tenants and vendors. Mr. DiSimone's investigation and claim documentation resulted in securing a policy limits settlement of a loss caused by a tornado to this Amusement Pier. The owners, the Catanoso family, have been clients and friends for over 3 decades. The firm manufacturers earth compound silicon products onsite in a huge complex. The products were extremely precise units for industrial use. A lightning strike destroyed the entire electrical mainframe system and a dozen industrial size electrical power panels. The replacement units were special made and had to be replaced. All of the electrical feed cables also were destroyed. The entire factory shut down as there was no reasonable way to provide temporary power of the magnitude needed to run the factory machinery and utilities. The stock in process was also smoke damage and not salvageable. The income interruption was only part of the overall business interruption claim. Loss of contracts, employee wages, and other insurance claims were submitted. The loss, in the millions, was settled by Mr. DiSimone. Our firm has handled extensive losses to numerous businesses in these areas from the Madison House Hotel fire which destroyed the entire electrical system on a New Years Eve to a Show Horse Arena - two acres large that suffered a total roof loss. We have represented people in political life, doctors, attorneys, engineers, architects, professors, college chancellors, law enforcement, officials, judges, and insurance agents throughout the area. We have handled losses from the most northern rural county of Sussex to the populous Essex and Bergen counties including many communities like Fort Lee, Newark, Jersey City, and Trenton. When a devastating fire damaged the Union's facilities our firm, in association with one of our city associates, was trusted to resolve the insurance fire claim. This historic building had hundreds of thousands of gallons of water completely engulf two floors of the utility basements of the building destroying the entire electric system, elevator power, plumbing, and other facilities. Since there was a city water supply break. There was a question of whether "underground utilities" exclusion applied. Our firm supplied sufficient coverage research to overcome the question of exclusion and got a settlement for the corporation ownership. Our firm represented night clubs, restaurants, catering facilities, various businesses, single family homes, row houses, and more to successful conclusions. Our firm has represented Paradise Stream Resort, Cove Haven Resort, and Other Resort Hotels in the Caesar Company. In one fire loss, the special resort suites including an in-room swimming pool and elaborate facilities - one of the highest "room" rentals in the Poconos was partially destroyed. The building involved had 7 of these units and all these and several nearby units were booked in advance for over 24 months. We expedited investigation scope and brought in an extensive expert remediation team to restore the facility. Our team stayed on-site sometimes working in 24 hour shifts to repair the facilities and not lose any reserved guest preservations. The settlement in the hundreds of thousands was just one of several losses we handled for this company with some 5 major resort locations. A vandalism claim including vehicles driving through greens, fairways, and tee boxes as well as irrigation facilities cause extensive damages. The damages to the grasses causes a fungus contamination which created even greater issues. The insurance company resisted resolving the cost of treating the fungus issue - in the hundreds of thousands of dollars. Eventually our firm proved there was a causal relationship and thus a covered loss. We were successful in getting the loss paid. Owner, Gene Percudani, was extremely grateful. The major intersection at the Mt. Pocono business district on Route 940 had a diner, a fast food restaurant, a real estate office and a new 2-story office complex that housed a construction contracting company, realtor, Title Company, and other offices. Over a 3 year period each of these building suffered a major ire loss. The 2 story building was a total loss. Our firm successfully settled every claim. During past decades our firm was hired to handle many resort vacation home total loss fires in over 25 developments across the Pocono area from Milford to near Scranton. Some include Wild Acres, Twin Lakes, Pocono Lakes, Pocono Pines, Echo Lake Homes, Mt. Airy, and many other resort developments. An industrial steamboiler the size of a bus exploded due to a malfunctioning low water cutoff valve. The cast iron "cap" about 18 feet in diameter, projected through two solid brick walls and destroyed a dye laboratory "library" contained over 30 years of dye formulas used in the mills processing. Some of their clients which bought dyed textiles including Samsonite luggage and other national companies relied on this industrial contractor to do their textiles. Part of the Mill company was the American Ribbon Company that manufactured dye ribbon for world wide use. The insurer was reluctant to understand that the dye formulas would cost hundreds of thousands of dollars to replicate exactly - as their clients ordered specific colors to match products. Also there was a question as to "repair" or "replace" the boiler. Our firm engaged the company that actually manufactured the boiler, Baltimore Steam Boiler, and had their engineer produce a report condemning the entire boiler system. Our research in both technology, insurance, and information production actually saved these companies and recovered settlements which allowed rebuilding and expansion. Our firm settled a total loss fire for the Scranton Super Market. Our firm settled a total loss fire for Exxon service station and repair facility. The firm has handled wind and fire losses to major farm facilities around the state. A total loss fire destroyed a historic house located on Mr. Hackett's farm. Mr. DiSimone not only settled the fire loss with the insurance company but also provided tax loss of hundreds of thousands of dollars. Water damaged a huge stock of popular jewelry items which were part of a QVC Television sale products. Claim was settled for both stock and income "loss of profit". Mr. Suh is a noted Korean-American entrepreneur. A burst of water main discharged thousands of gallons of water in finished lower level, laundry, heating system, and hot water heater. After pump out and dry out all floors and walls required replacement. Claim was settled by Mr. DiSimone. This company manufactured highly technical and extremely precise anti-vibrating connectors for Saudi Arabian petroleum oil fields. The product, a webbed copper and metal composite was extruded on premises then processed in a harding heat infused device invented by the company for the specific use of this product. The contract for producing the items was part of an international trade agreement and protocol was set in "letters of credits" sign by both the Saudi Arabia government and the U.S. Government. Any delay in delivery would have caused not just a contract default and cancellation but also a tremendous legal liability for Flexible Fabricators under an ominous contract failure provision which involved hundreds of thousands of dollars if default occurred. A. DiSimone Adjustment Bureau expedited the engineering surveys needed to do replication of the machinery needed for this industrial production line, got the industrial clean up needed to salvage rare German metal rods imported and used in the manufacturer and had not just the loss aid but also done so in a timely fashion so adequate repairs and replacements were done to fulfill the Saudi contract and preserve the "important" "letters of credit" and agreements that involved ongoing and future sales. A city building was badly damaged during a major storm. After a vetting process Anthony DiSimone, PA was hired as a Public Adjuster. He settled the loss and received accolades from then Mayor Louis Harmon. Our firm settled a major roof loss to the large school complex quickly and secured sufficient funds for an entire new roof. Mr. DiSimone consulted with the managing Rabbi on 2 fire losses at the location. During an extensive freezing winter period, the heating system in a home at the Dantonio compound had the water system break and discharge thousands of gallons of water which then froze. The evaluation process and resolution involved a great deal of complex factors. DiSimone Adjustment handled 3 major losses, including a total loss fire to the main residence building. A windstorm took a large section of flat roofing from the childrens clothing manufacturing plant which provided garments by contract to Sears & Co. The complex Singer commercial sewing machines, other machines, and an entire stock of garments, some incomplete were all damaged beyond salvage. Our firm completed the building, machinery, stock values finished and in process with the National Claim Representative from the then General Adjustment Bureau, Harry Pearl. Mr. Loecher also engaged the firm later for two other industrial losses. This skyscraper, a historic building formerly the Apocethary Hotel, was under complete renovation. The general contractor, Hunter Douglas International, had wrapped the building in a heavy poly sheathing. A hurricane struck New York and tore the covering exposing the newly installed drywall, marble, and building fittings causing hundreds of thousands in damages. The insurance policy, a "builders risk" provided all risk coverage. The time element to complete this high rise building was critical. The entertainer/singer Britney Spears had rented a large ground floor section and had begun completing a Night Club/Restaurant in the space ("Britney's"). Our firm was instrumental in getting the funds needed to remove all the many thousands of dollars in rain water damaged constructed areas and get the entire building renovated. The building, a mid-town on the East Side, is one of New York's finer "Boutique" Hotels today. The Mocanan family, chief investors, hired Mr. Disimone for other claims thereafter. Chief Judge of the United States Virgin Islands owned a home in Brooklyn, New York that sustained a massive fire loss. His college student daughter lived there year round. Our firm secured a quick settlement and thus repairs were done. Our local associate experts were extremely helpful in the long distance communication with Judge Kendall in St. Thomas. Mr. DiSimone also represented other Kendall Associates. Our firm has represented Judge Fusco and his extended family for over 35 years in losses to his properties. Anthony DiSimone has acted as loss consultant and insurance consultant to Attorney Carasaniti and his clients for decades. Mr. DiSimone represented the musical group "The Good Times Three" when they lost all their expensive instruments and sound systems in a total loss fire. The loss involved sophisticated sound equipment as well as special musical instruments. Mr. DiSimone has represented numerous farm properties that raise chickens and also raise and train thoroughbred race horses. Mr. DiSimone has experience and knowledge of the animal loss claims and valuations including race horses, prize cattle, and chickens and fowl for slaughter as well as "egg farms". This is a highly specialized field of insurance. This historic building, at the edge of the Port Jervis, NY-Matamoras, Pennsylvania Bridge was the original "toll house" for paying tolls to cross back in the 1800's. The newer steel structure became an impediment to the flow of seasonal ice floating down the Delaware River from upstream. During this time "ice flows" of huge size and over five foot thick broke off the shoreline and clogged the river. There was an ice jam at a point several thousand feet down river at the small "Deer Island" (in the middle of the river). The river back up, ice struck the bridge and deflected into the side of the Flo Jean Restaurant. Huge chunks of ice crashed through the side of the building and flowed into the main dining room floors, the bar, and kitchen, and in the storage rooms below. The frigid water also caused extensive flood damage. There was severe structural damage to the historic structure. The news media surrounding this event (NBC, CBS, ABC, and more) created nationally televised coverage. The NY Governor and the Roman Catholic Cardinal visited the owner of the site, Florence Dalrymple, the "iconic restaurateur". The building was filled with various antique collections including a very extensive antique doll collection, personal music boxes, and more. Our firm documented the loss to each item and evaluated all the structural damage and settled the loss. The church elders engaged our firm when an electrical malfunction caused the main heating and ventilating system was destroyed which serviced the main church and school. Our firm was successful settling the claim with sufficient funds to replace the entire systems and also recoup tuition losses. Mr. DiSimone relied on his extensive investigative background to conduct and uncover the information needed to get the claim settled without going to trial. Prior to his 40 year career in his Public Adjusting practice, he worked for major insurance companies as a claim representative and also as a trial preparation expert. He was responsible to prepare files for trials for Aetna, Hartford Continental, and later General Adjuster Bureau, Glens Falls Insurance Company, Marine Office Appleton and Cox, and others. He did the part of the trial preparation for historic cases including auto accidents, explosions, and collapses as well as weather related matters. Some of the clients served included the Baltimore & Ohio Railroad (B & O Line) where rail men were killed in the on-the-job accidents, construction accident cases, Moran Towing (NYC Harbor Tug Boats and Great Lakes Vessels) where deaths at sea and on water ways occurred. School bus accidents, a taxi company in New York City, Subler Trucking-a National 18 Wheeler truck common carrier. He worked in several states and has the educational opportunities both in certifications and experience. He had cases that had no "protocol" for handling and had to plan the investigation. Some included the fuel oil spill in the Concord Hotel Main Building in the NY Catskills, one of the famous "Borsch Belt" Resorts. Over 1,000 gallons of Number 2 fuel was mistakenly pumped into a lower level and contaminated the lobby and basement and first floor as well as some nearby businesses. He also handled losses for the business owned by Alan Geary, who later formed the Comcast Cable Company - one of the nation's largest communication conglomerates. He handled losses from skyscrapers in Manhattan to chicken farms in the Catskills as well as hotels and religious camps and churches in the Northeast. The knowledge and education he gained (he attended various educational programs run by insurers) provided him with a keen insight as to the manner in which insurers operate from the basic levels up to the highest management positions and corporate leadership. He handled cases involving United States Federal Laws, State Laws, and Laws in some Foreign Nations. Regulations promulgated by the U.S. Internal Revenue Service (IRS) as it applies to loss of income, taxation, depreciation schedules, inventory statements, expenses, and more. State laws in more than a dozen states which cooperate with Federal requirements. Foreign Insurance Legal Regulations in Caribbean nations including St. Maarten NA, Virgin Islands, St. Lucia, and Puerto Rico.